There appears to be an upper limit to how big the universe’s most massive black holes can get, according to new research led by a Yale University astrophysicist. Once considered rare and exotic objects, black holes are now known to exist throughout the universe, with the largest and most massive found at the centers of the largest galaxies. These “ultra-massive” black holes have been shown to have masses upwards of one billion times that of our own Sun. Now, Priyamvada Natarajan, an associate professor of astronomy and physics at Yale University and a fellow at the Radcliffe Institute for Advanced Study, has shown that even the biggest of these gravitational monsters can’t keep growing forever. Instead, they appear to curb their own growth – once they accumulate about 10 billion times the mass of the Sun. The study, to appear in the Monthly Notices of the Royal Astronomical Society (MNRAS), represents the first time an upper mass limit has been derived for black holes. Natarajan used existing optical and X-ray data of these ultra-massive black holes to show that, in order for those various observations to be consistent, the black holes must essentially shut off at some point in their evolution. One possible explanation put forth by Natarajan is that the black holes eventually reach the point when they radiate so much energy as they consume their surroundings that they end up interfering with the very gas supply that feeds them, which may interrupt nearby star formation. 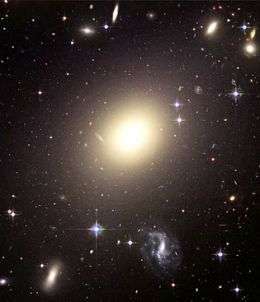 The new findings have implications for the future study of galaxy formation, since many of the largest galaxies in the universe appear to co-evolve along with the black holes at their centers. this paves a way for new thought that we might calculate the safety for our planet from the data which we get about the size of the black hole at the center of our very galaxy ! hats off to you for the path breaking research ! Was this upper limit found via observation or mathematically? Are they sure the upper limit isn't an upper limit of the way we are observing the black hole? It appears that they're just saying that they can get so large that they prevent other objects from forming near them, so nothing to "eat". But I doubt that you say this is a true upper limit, just a practical one. A true upper limit would be where the black hole's force is in equilibrium with spacetime, to the point that the amount of mass required to grow an extra inch wouldn't be worth it. At that point, it stays in its hole. If its density is finite won't it eventually fill up to its own event horizon? There would simply be no more room inside the horizon for additional mass. Perhaps infinite density is not possible. I've wondered about this as well. Does the black hole fill up and if so, once matter breaches the event horizon does the black hole explode? I would expect the event horizon to expand at some proportional rate to the increase in mass of the black hole. No, because as the black hole absorbs matter, its event horizon expands in proportion to its mass. This expansion is such that as time goes on, the average density of a black hole becomes lower, not higher. If a black hole eats enough, you eventually reach the point where the density is so low that it would float on a big enough ocean, if it had a surface that somehow prevented the ocean from just being eaten. The radius of the event horizon of a (Schwartzchild) black hole is GM/c^2, with increase in mass teh event horizon also increases in size. And most importantly, inside the event horizon spatial dimensions become timelike (and vice versa, the time dimension becomes spacelike), which implies that inside the event horizon, one can not move back in space (just as outside the event horizon, in the spacetime in which we exist, we things can't progress back in time), so all the mass will eventually be pulled into the singularity, which is the centre of the black hole. An upper mass limit for black holes? Imagine the following scenario: Two black holes, of masses approaching a mass limit (of arbitrary size) are orbiting each other and slowly falling into each other. When these two monster black holes merge, wouldn't their combined mass will greatly exceed the defined mass limit? Perhaps the apparent upper bound we observe is related to the density of the primordial universe. In other words, there was only so much stuff to create the black hole. Once you run out of stuff it is impossible for the black hole to become larger. Thus, the density of the early universe could be directly related to the maximum size of a black hole we see today. "Here are many other, less technical reasons, why the size of BH should be limited. For example, the pressure of acrettion radiation keeps a lot of matter at distance, whenever the black hole becomes larger (a sort of Leidenfrost effect)." Did you read the article? Why re-state it? Or is this website a billboard for your hilarious theories?